Bob Cooke developed a great passion for seafood while growing up on the Connecticut shore. He started lobstering in the “Sound” at the age of fifteen after realizing it was a great way to get a delicacy easily and inexpensively. Bob received degrees in hotel and restaurant management from New York’s Paul Smith College and Florida International University in Miami. 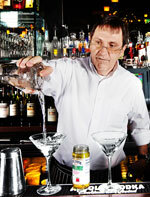 His professional career began with Howard Johnson’s and later Hilton Hotels. 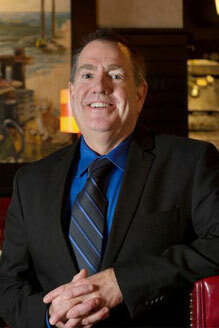 With years of experience in the hotel hospitality industry, Bob joined Boston’s famous Legal Seafood Restaurant Group. During his 12 years as a General Manager, Bob helped open four restaurants, including the highly successful new concept, Logan Airport Oyster Bar. He credits Legal Seafood Restaurant for introducing him to the world of high volume. Bob has brought his extraordinary knowledge of seafood and sophisticated restaurant operations to Max’s Oyster Bar as Partner and General Manager. The Max Restaurant Group is always looking to expand our team. We offer competitive wages, a generous benefits package, flexible hours and the opportunity to grow with the company. Join the most respected restaurant group in Southern New England and you will have the opportunity to experience and learn the hospitality industry from visionary Chefs and seasoned Restaurant Managers. The Max Restaurant Group is an equal opportunity employer. Please e-mail your resume and cover letter to us at jobs@maxrestaurantgroup.com.